Repiping is a Big Job…Let Us Do It!! Repiping your Granbury, TX home is probably not what you want to think about. If you need to have it done, though, not thinking about it just avoids the issue. In fact, you should think about it sooner rather than later. Repiping at the first sign of needing it can save you a ton of hassle, not to mention time, energy and money. If you’re wondering about having it done, give us a call. When you call Lightfoot, you’ll talk to our operators first. They’re friendly, polite, and ready to get you connected to the plumber you need. They’ll ask you a few questions, then find a time for a plumber to visit that’s convenient for you. If your problem is urgent, they’ll help get someone out to you as soon as possible. 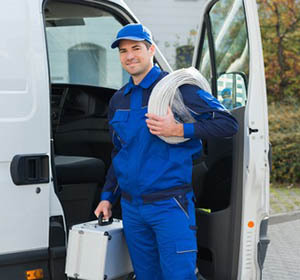 Our plumbers arrive on time, so you don’t have to worry about sitting around and waiting. When the plumber comes, he or she will listen to your description of the problem. Then, your plumber will take a look, assess the situation, and figure out what’s going on. Once the plumber knows what the problem is, he or she will explain it to you. You’ll get to ask any questions you might have, and then your plumber will get to work. Many homeowners aren’t sure whether repiping will fix their plumbing issues or not. We’re happy to take a look and give you our expert advice. Here are some things you can think about, too. The age of your pipes. Old pipes have a lot of problems. Eventually, you’ll need to replace them. The average lifespan of your pipes will depend on what they’re made out of. Most pipes need to be replaced somewhere between 30 and 70 years after they were installed. If you know your pipes are old, it may be worthwhile to replace them before you spend a lot on repairs. Repeated plumbing problems. If you have a plumber out to your home frequently, it’s time to think about replacing your pipes. At some point, you will spend more on repairs than you’ll spend to repipe! This may seem impossible, but we’ve seen it happen. Don’t put off repiping for too long. The cost of water damage vs. the cost of repiping. Repiping can be expensive, but so is cleaning up water damage. Eventually, pipes that need to be replaced are going to cause a big problem. Would you rather pay to replace them, or pay (possibly more) to fix your home after a massive leak? Calling Lightfoot is one of the best decisions you can make for your home and your family. We will treat your home as if it was our own, and we’ll let you know what we would do, if we were in your shoes. We’ll work hard until the job is done, and we won’t leave until you’re satisfied. Don’t leave your repiping job until tomorrow. Call us today and get started!